It’s a sad day on my friendly little street. One of our neighbors (and primary organizers of the neighborhood potlucks) is moving. Last night we had a casual farewell party for our dear friends. Even though they will not be moving far away, our street and neighborhood gatherings will not be the same. In honor of this special event, I needed a dip untasted by the group. 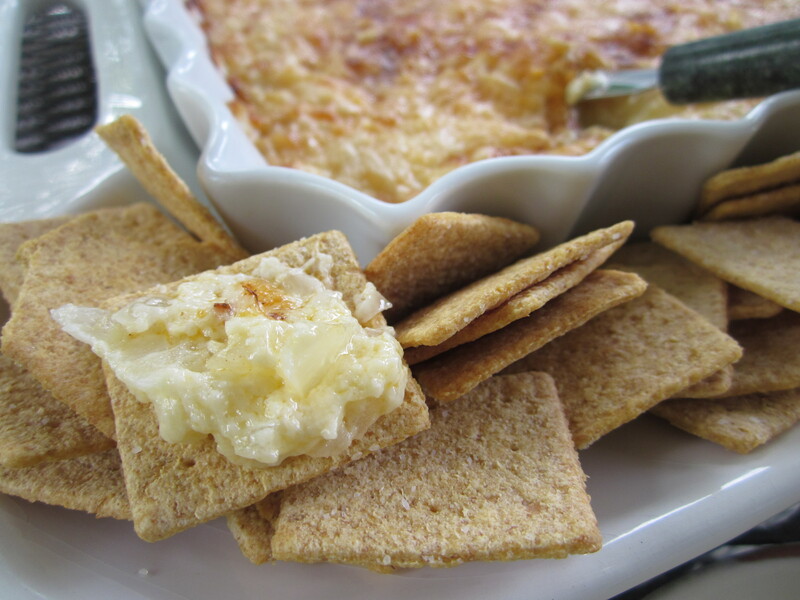 I pulled out a recipe for a Hot Vidalia Onion dip that I have not made in years. Man, is this stuff good. It falls into the “face food” category. 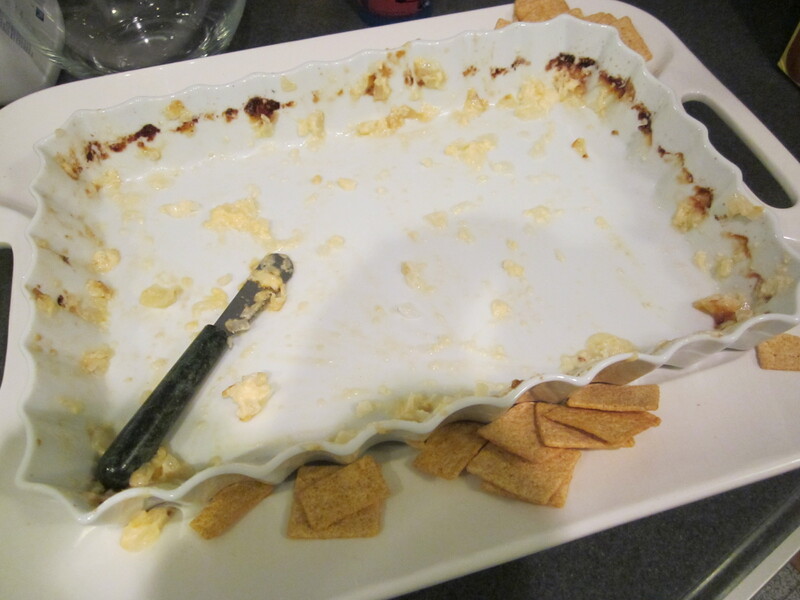 The dip lasted about 17 minutes (after picture below). 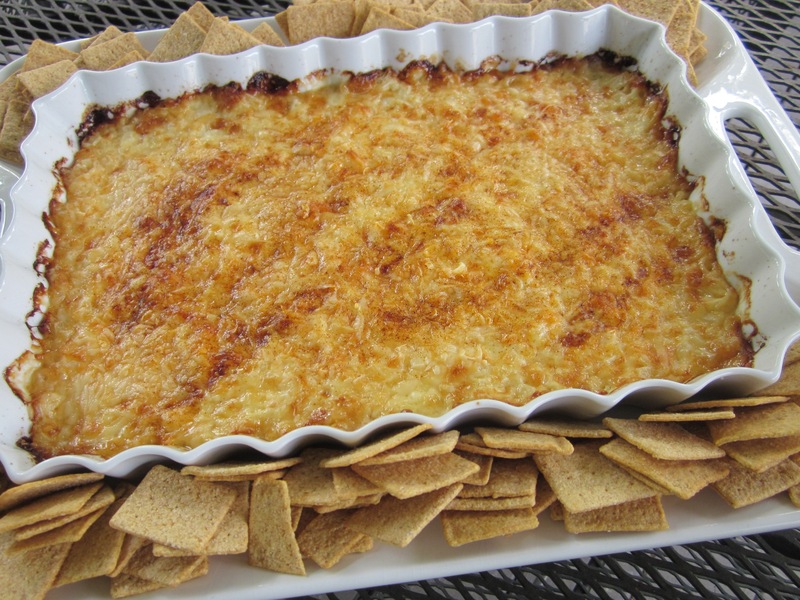 In a medium bowl, mix chopped onions, mayonnaise, Swiss cheese, and Tabasco. Spread mixture in a 9 x 13 inch glass baking dish. Sprinkle Parmesan evenly over mixture and sprinkle with paprika. Bake ~30 minutes at 350 degrees or until golden and bubbly.